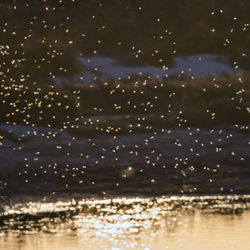 Wasp stings are something you shouldn't ignore. Imagine you come home from work, exhausted and only wanting to lay in bed. You enter the bedroom and start to undress. Just when you are taking off your pants, you feel something like a pinch or a sting, but you don't mind it, because you just want to go to bed. But then, you see something on the floor and when you look closer, you are horrified, because... IT IS A WASP!!! A wasp stung me one day and I was really scared! But not because I am so allergic that I could die from a wasp sting, yet I am allergic enough to have a very big swelling, after the sting. On that day I knew that I wold swell quickly, because I had been stung by a wasp before - but that was a long, long time ago when I was a teenager. On that occasion, the wasp sting was on my arm, which quickly doubled in size. It lasted more than twenty four hours, during which I had to keep a wet handkerchief on it - something like a wet poultice. I still remember like it was yesterday how badly the sting hurt and how huge the swelling was - so huge that my sweater arm didn't fit on my swollen arm. However, the next day the swelling shrank and I started to feel better. I think that happened because I was so young and my body was stronger, but I wasn't that lucky on this second occasion. Now that we have so many pills the healing should have been easier for me, if I only took it more seriously. 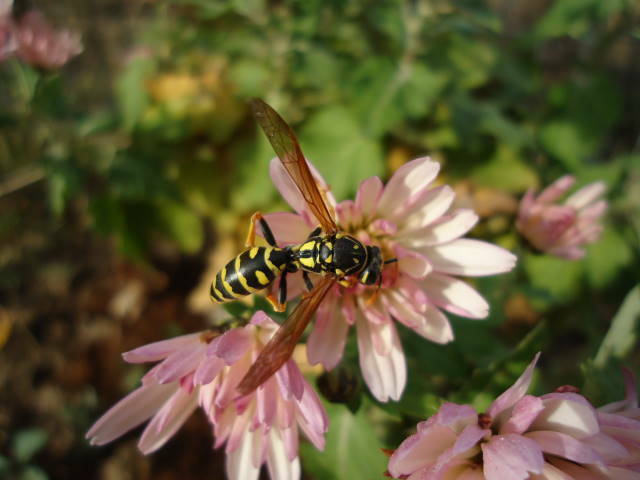 I've got used to see wasps all over my garden all summer (and spring and fall) long. I've been watching their activity and learned about their habits - remember the saying "Know your enemy"? 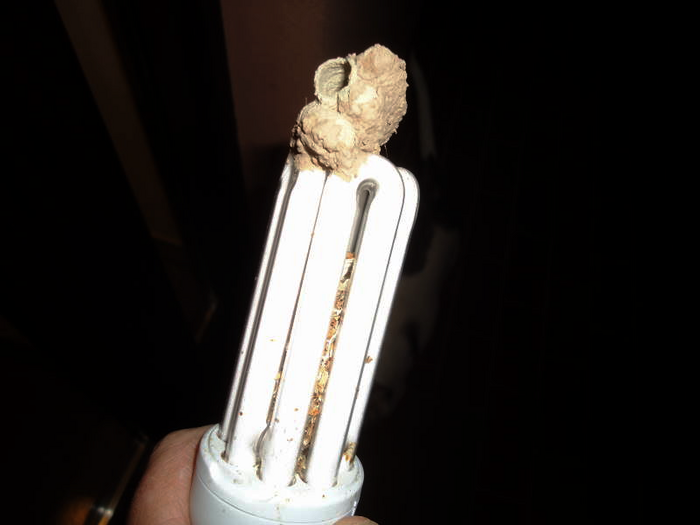 This is how I observed some small dirt pods, stuck on the house wall, usually near the corners - even on a bulb light. I first thought they were spider pods, yet I had to ask myself how would a spider build those pods, with dirt. Be as it may, I broke the pods every time I saw one and inside I usually found something like a spider sac with a larvae inside. Only once I found an unformed wasp, which made me realize that those were wasp nests. 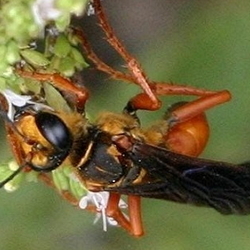 I researched and learned about the numerous wasp species, how they nested and fed. It seems that those dirt pods are called mud cells. Some wasp species are parasitic, by injecting their egg and a paralysis substance in another insect's body, such as a spider or a caterpillar - in this case, in the spider sac, which contains lots of small spiders. The wasp builds a mud-cell around the paralyzed victim. 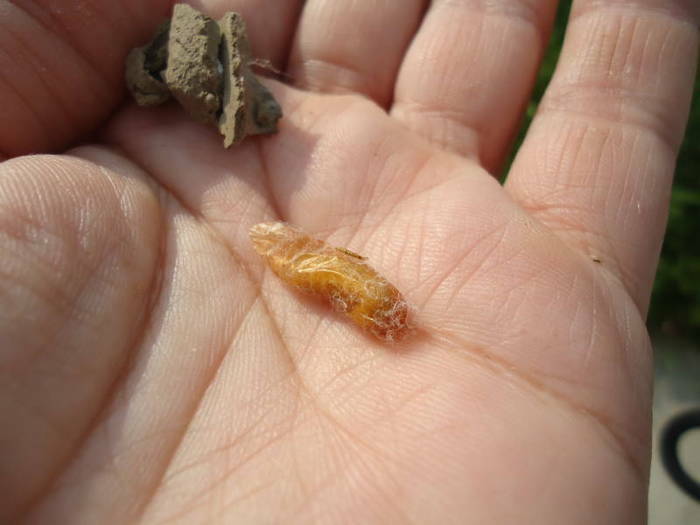 The wasp egg grows fast into a larvae, which feeds on the victim until it grows, makes a pupae around itself and then grows into an adult wasp. Once I found this weird mud-cell stuck on the inside of the door frame and naturally, I had to see what was inside. That didn't seem to be a spider sac, but a moth pupae, which the wasp injected with eggs. 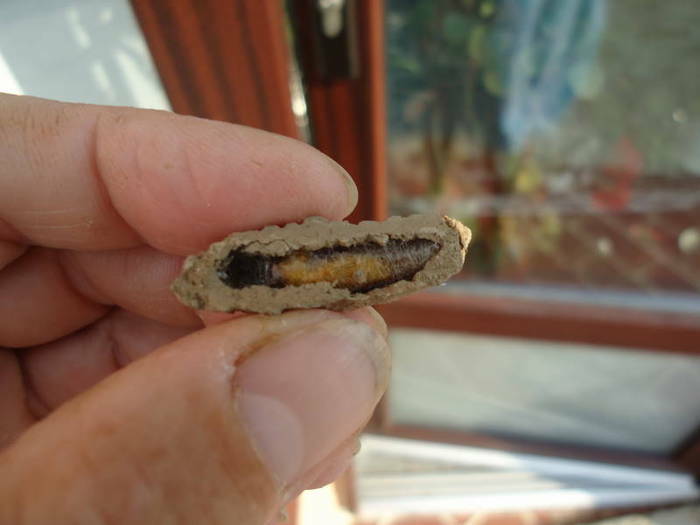 The wasps in my garden are often building paper nests in the corners of a window or under the roof. But the scariest was when I found a big paper nest, inside the post box! 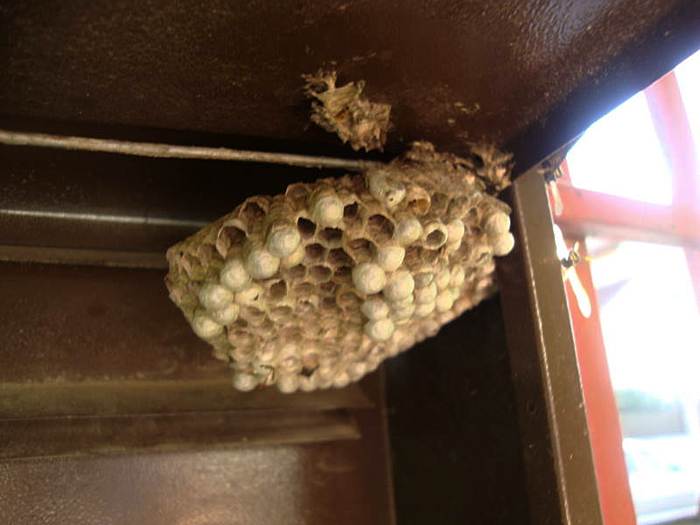 I had been seeing lots of wasps around but I've never imagined them building a nest inside the post box. I figure it must have been a long time since I last received a letter, so they had enough time to build the nest. That meant war and as a response, I started to spray with insecticide monthly ever since the day I found it. 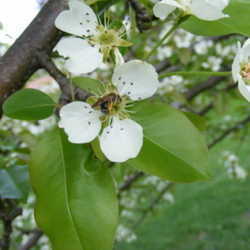 It's an insecticide toxic for mosquitoes, spiders, flies and moths, but also for the bees. I'm spraying over the house walls, around the windows and on the trees and bushes, but I'm always careful to avoid spraying over the flowers, to spare the bees. I've always been surrounded by wasps but they never stung me, up until now. I first tried a wet poultice, but it didn't do much. Then I tried ice and yet, no result. The swelling grew and on the next day, I started to have a rash. I decided to go to the doctor. By that time, the swelling was bigger and about the size of a fist. The doctor gave me a prescription for allergy pills and an ointment. I took an allergy pill, then applied the ointment over the swelling and guess what, it worked! The swelling disappeared in an hour or so and I finally started to feel better. It seems that the wasps have three times more poison than the bees and that's why the swelling gets bigger. So, in case that you were stung by a wasp, remember my advice: it's always better to ask your doctor as soon as possible, because he knows best.